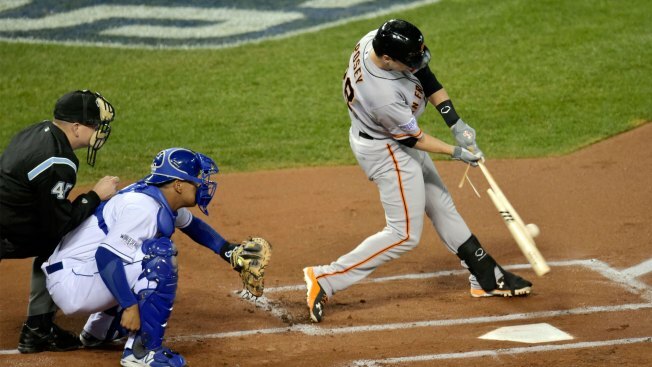 KANSAS CITY -- The Giants hoped that their quick move to put Buster Posey on the disabled list would pay off. They were right. Posey was in the lineup Tuesday as the Giants returned to Kansas City for the first time since the 2014 World Series, hitting fourth as the designated hitter. He missed the minimum seven days after being placed on the concussion DL last Tuesday. Posey was hit in the head by a 94 mph fastball in Monday's home opener and he felt mild symptoms overnight and the next morning. The Giants didn't want to take any chances, and Posey was sidelined. He made quick progress, taking BP, running the bases and playing catch throughout the weekend. Manager Bruce Bochy said repeatedly that Posey would not be cleared to return unless he could catch, but the Giants did intend to take advantage of the DH spot to ease him back into the lineup. A corresponding roster move is expected to be announced after the Giants take batting practice on Tuesday. --- If you missed it, here's an oral history of Madison Bumgarner's jog out of the bullpen. He'll start Wednesday night's game here.